Offer not good with any other discount offer. Gift Certificates are sold in 10-, 15-, 20- or 30-minute denominations. Gift Certificates expire 6 months from dates of purchase. Offer expires when this special disappears from this website. Offer not good with any other discount offer nor with the redemption of any Gift Certificate. Customer must present coupon for discount. 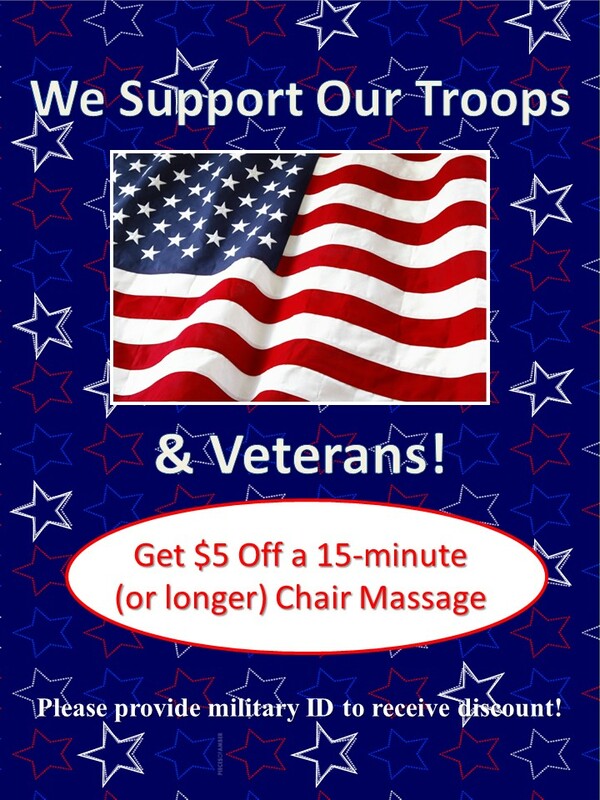 Minimum 15-minute chair massage required to receive discount. Only one coupon may be used per customer. Customer must simply present proof of Express or Interior Detail purchase on the day of purchase) for discount. Minimum 20-minute chair massage required to receive discount. Customer must simply present proof of Deluxe or Executive Detail purchase on the day of purchase) for discount. Minimum 30-minute chair massage required to receive discount. interested in working with Seize the Day. and receive a free 25-minute Chair Massage. Therapist/Student must present coupon to receive the chair massage. Limit one coupon per massage therapist/student. on Wednesdays, 2 pm – 5:30 pm.